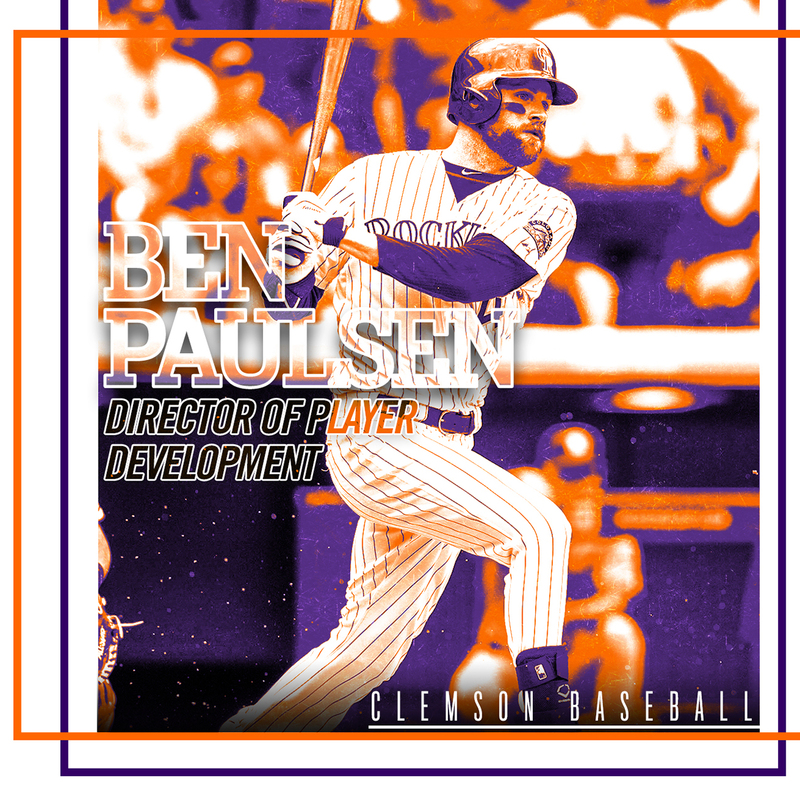 CLEMSON, S.C. – Former Tiger and major leaguer Ben Paulsen was added to the Clemson baseball staff as director of player development, announced by head coach Monte Lee. Paulsen spent last season as a student assistant coach at Clemson, as he returned to Tigertown to finish his degree requirements through the Tiger Trust program. He later served as the volunteer assistant coach at Georgia Southern this fall. Among Paulsen’s responsibilities, he will be in charge of player development, opponent scouting, facility organization, enhancement & technology, recruiting & alumni relations, student-athlete transition and student-athlete services. Paulsen, son of former Clemson assistant coach (2003-10) and current Winthrop head coach Tom Riginos, was a career .318 hitter with 45 doubles, five triples, 31 homers, 130 RBIs and four steals in 182 games (170 starts) over three seasons (2007-09) at Clemson. The first baseman, who was drafted in the third round by Colorado in 2009, played three years (2014-16) in the majors with the Rockies, hitting .271 with 16 homers and 70 RBIs in 186 games. Paulsen, a native of Acworth, Ga., graduated from Clemson with a degree in business management in 2018. Paulsen, who is engaged to Kendall Hill, was born Oct. 27, 1987 in Plymouth, Wis.